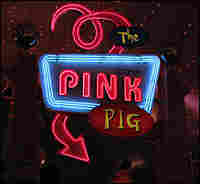 Atlanta's Pink Pig Brightens Spirits, 55 Years On The Pink Pig debuted in 1953 at Rich's, a downtown Atlanta department store. It was a monorail ride back then. Today, it's a short train ride at Macy's department store, but the new Pink Pig carries much of the same sense of wonder as the old one. 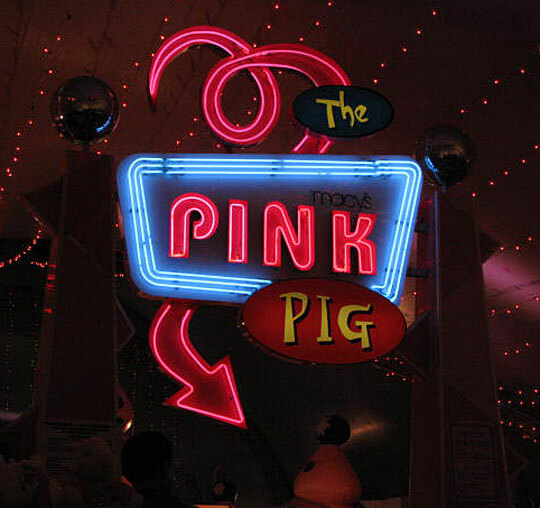 The Pink Pig now operates as a train ride inside a tent at Macy's in Atlanta. ... Clicking and clacking along a track suspended from the high ceiling of the downtown Rich's Wonderland of Toys, the Pink Pig Flyer gave pint-sized riders the benefit of a bird's-eye view of a toy department that rivaled even Santa's workshop with its treasure trove of Slinkies, Erector sets, Betsey Wetsey dolls and Radio Flyers, Silly Putty and coonskin caps, paint-by-number kits and Lionel trains, and on and on and on. ... The brainchild of Rich's executive Frank Pallotta, Priscilla immediately captured the hearts of Atlantans of all ages and began her reign, continuing to the present day as the city's most beloved holiday tradition. After thrilling at the extravagantly decorated Great Tree atop the Crystal Bridge that spanned Forsyth Street to connect the two sections of the flagship Rich's (a tradition begun in 1947), kids might visit Santa's Secret Shop with their list — no doubt twice checked — of family members, teachers, friends, and even pets for whom they needed to find a gift. Giddy with allowance money or their parents' Rich's charge card, kids could shop among displays loaded with potential presents. — From the introduction to I Rode The Pink Pig. By permission, Hill Street Press. 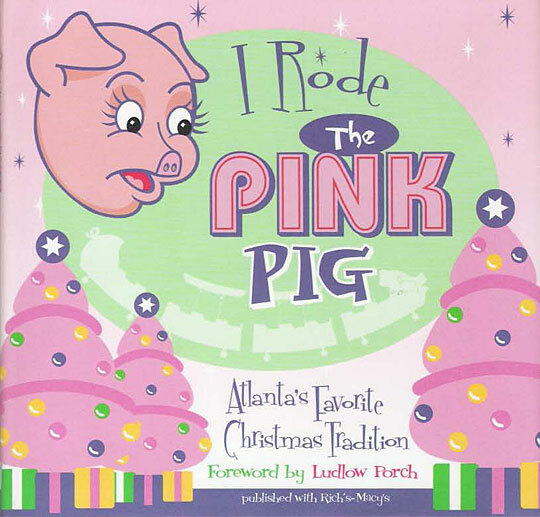 In 1953, Priscilla the Pink Pig debuted as a monorail ride at Rich's department store in downtown Atlanta. Store owner Richard Rich's ingenious creation quickly turned into a Southern tradition. 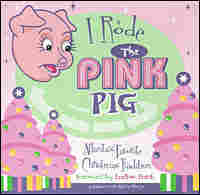 Today, there is still a short train ride called the Pink Pig at the Macy's department store. Although it looks different, the new piggy carries much of the same sense of wonder as the old one. In the 1950s, children waited to ride on the Pink Pig — a string of metal monorail cars that carried them high above the old Rich's store, where they could gaze down at the wonderland of toys below. In the 1960s, Priscilla was joined by a friend: Percival. Don Rooney, curator of Urban History at the Atlanta History Center, remembers riding the pig himself back then. "The pigs were bright pink, with a piggy nose and a piggy tail," he says. For him, it was a magical trip around the toy department and, by the 1960s, out onto the store's rooftop — a 3 1/2-minute journey that cost a quarter. "You knew you were in for a treat as the car moved onto the crystal bridge and around the base of the tree as you looked in wonderment down onto the city streets below," Rooney says. "It was a big event." The Pink Pig is now a train ride inside a big white tent in Macy's parking lot. But for Atlantans, visiting the ride is still a big event that brings back warm memories. "I rode the Pink Pig when I was a little girl, and I'm 57," says Benay Eubanks, who came to the Pink Pig recently with her 78-year-old mother, Hazel Price. Price says four generations of her family have now experienced the Atlanta institution. "We come every year, see," Price says. "I don't think we've missed because we had them [her children], then the grands [grandchildren] and now the great [grandchildren]." Most of the kids in line jump up and down in their red Christmas outfits as they wait to ride the new version of the Pink Pig and listen to stories about the past. Sisters Mary Oxendine and Martha Long stop to show the young members of their family the historic photos on display. "That's what it was like when I was little, and it used to be up in the air," Oxendine says. "And see how the doors are? You used to get in, and they closed it and you were completely enclosed in it." Long tells 3-year-old Martha Grace and 6-year-old Ty about how the monorail went on top of the building, where she rode around the store's Christmas tree. "It was so cool," Long says as the children squirm to get a better view of the bubble-gum-colored train cars. Oxendine and Long say their family traveled more than 50 miles from Bremen, Ga., to downtown Atlanta to see the Pink Pig. Back then, it took about an hour and a half to make the trip. "It was just always such a treasure to be able to come over and ride it. When you went under the Christmas tree, with all the decorations, it was just like a fantasy," Long says. "It was beautiful, just beautiful." In the early days, there was "Santa's Secret Shop," where elves — mostly high school volunteers — would check a child's list, collect a few dollars and help the kids pick out small presents for their families. No Moms and Dads were allowed. Today, there's a gift shop loaded with all kinds of Pink Pig souvenirs — plates, ornaments, even a Pink Pig nose to wear. Sarah and David Carter, who've been coming for five years, try to reel in their three young children, who scurry all around the displays. They say this is their new Christmas tradition. "Absolutely, [we] come down and see Santa and ride the Pink Pig. They all have to fight over who gets to hang the Pink Pig on the tree because we have the ornament," Sarah Carter says. Her husband notes with a chuckle that the hardest part is getting through the gift shop. 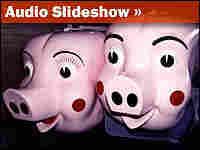 As both adults and kids disembark from the Pink Pig, their smiles are big and bright — much like Priscilla and Percival.